In this exhibition, TAM seeks to feature artists who highlight this particular moment in the Northwest visual arts and the intersection of identity, social justice, and the environment. 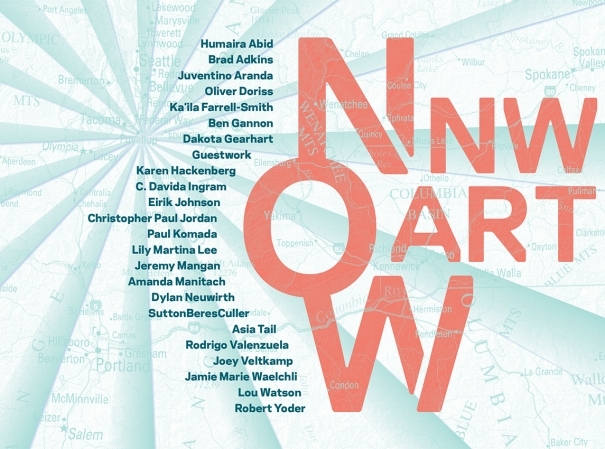 NW Art Now will focus on how artists resolve the tensions arising from these issues and propel our shared identity as inhabitants of the great Pacific Northwest. We rely on artists to help us understand these urgent issues and guide us to a shared future. The exhibition is co-curated by Rock Hushka, Tacoma Art Museum’s Chief Curator, and Juan Roselione-Valadez, Director of the Rubell Family Collection, Contemporary Arts Foundation. Applications were followed by studio visits and conversations with Roselione-Valadez and Hushka. Both curators appreciated the opportunity to learn more about the artists’ studio practices and upcoming projects. The curators were impressed by the broad knowledge and engagement of all of the artists during this part of the selection process. We hope the exhibition will bring some focus to the issues that are changing the Northwest while moving forward the traditions and values that have made this such a special place.